Jacqueline Anim, Principal Materials Engineer at Ethicon, discussed trends in material and medical device innovations at MD&M. Ethicon, a part of J&J, is not a material manufacturer; instead, the company works within an “integrated materials optimization environment” using other companies’ materials to innovate their medical devices. Today’s post to focus on trends in medical device innovations; the post to follow to discuss innovations in materials for medical devices. Today, medical devices are single-use. They are shipped pre-sterilized, typically maintaining a shelf life of 3-5 years. Mass-produced and using limited AI and robotics, these devices are geared towards the needs of the surgeon, thereby inadvertently and unintentionally neglecting the needs of the patient. In the future, Anim envisions a shift from single-use towards reusable devices. This is fueled in part by the growth of emerging markets that lack the cost structure necessary for single-use devices. 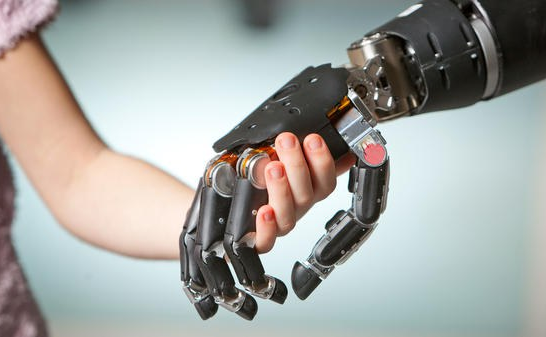 Advances in digital patient healthcare, robotics, and enhanced connectivity precipitates this transition from single to multiple-use medical devices. In this reusable scenario, the product is shipped non-sterilized and the hospital becomes the site of sterilization. In the operating room there is the sterile zone and the non-sterile zone: The sterile zone is where the instrument is inserted into the patient; the non-sterile zone is the rest of the device, like the majority of the robotic hardware, for instance. In the context of device reusability, the portion of the device that is in contact with the patient would be removed and sterilized while the main hardware would stay intact. Consequently, the attachment points between the sterile and non-sterile component of the device are very critical. As a packaging supplier keen on penetrating the medical device packaging market, I asked Anim what the ramifications on packaging might be in this era of reusability. She responded that while she anticipates the volume of packaging ultimately declining, she believes that the complexity will increase. Instead of being just a vehicle for device transport and sterility for instance, packaging will offer enhanced functionality with intimate product interaction. Playing an integral role in the performance of the device and the safety of the patient, packaging will utilize the same technologies of digital healthcare and enhanced connectivity that facilitates this move towards device reusability. Convenience, mobility, and patient customization are fueling developments in wearables, device miniaturization, 3D printing, implant technology, and digital healthcare. In the context of patient customization and convenience, a contemporary example is the replacement of cumbersome oxygen tanks with lightweight and wearable clip-on devices. Anim told a story to further illustrate this point: From Ghana, she recalls how a dark-skinned African man who needed an ear prosthetic was required to wear a light-skinned imitation. Here, prioritizing the needs of the patient over that of the surgeon in the context of customization would surely facilitate a more appropriate product. These trends in medical device innovations allowed Anim to surmise that in the not-so-distant future, patients will be able to scan and print their own devices in the comfort of their home while providing crucial data to offsite physicians and surgeons. With 10,000 65-year olds coming into the healthcare system every day, the urgency of innovations in medtech is becoming all the more apparent. More on this to follow in subsequent posts.